What would you like to hear about on our blog? We have opened our blog to questions and we’d like to hear from you! We can’t answer questions about a particular case on our blog, only general topics. There is no privacy for blog comments so please be careful (your ex may read this blog too! ), but we’d love to hear some topics from our readers. We want to write about what you want to hear about! More needs to be focused on grandparents raising grandchildren, especially what grandparents need to do “immediately” after receiving temporary court orders as far as where to go to sign up for support for the grandchild and the parents role in this support, financially and otherwise, needed to raise this child. I was told I had to support my grandchild myself, no help, and not the parents????? Why?? Grandparents need to know what to do when the parents says they cannot afford to pay child support and what they should do in this instance to get immediate help. A step by step procedure on getting the support help should be designed to help grandparents like myself so they do not end up destitute like me, not being able to afford an attorney to see me through the next phase because of no guidance from anyone at the courts including the child attorney and the social worker. Also add in the “what if’s “and what to do when the what if’s happen, like what if the parents say they cannot afford to pay me child support, what do I do?, Grandparents, like myself, have worked all their lives, saving and scraping, so they won’t live hard and when parents of the grandchildren fail to parent correctly, grandparents pay the ultimate price and become destitute and without legal representation with no where to turn, like me. Give more on what consequences can be given to parents who fail in raising their children. The courts seem to overlook consequences here. If parents who fail their children are made to take formal parenting classes, and not just a day or two, I’m talking months until they understand the parental requirements and force phyciatric counciling to be made mandatory, parents just might get the message and start raising their children right! Helping your family should not have to mean being in dyer straits the rest of your retirement to live hard. My ex-wife refuses to let me see or talk to my 8 yr old daughter. We got a divorce a year ago, I used to get her every sunday but she stopped allowing it. Can I go to court to get set days? And do I have to get a lawyer? My divorce was final in 2008. My ex and I disagree on the interpretation of Rule 27 (Ohio – Franklin County, Columbus). I am the father and the rule states I have the children Monday, July 4th. The weekend before is my ex’s scheduled weekend, and is July 1-3. I interpret the rule like this: I have them for the entire weekend- July1-3, as well as the 4th. My ex interprets it that she has them for the weekend before (July1-3) and I only have them on the 4th (9am-9am). I would like to have my kids July 1st-4th. Let me know if you think I am correct or incorrect. What protection is there for a child when the noncustodial parent or one the family members of the non custodial parent constantly question the child when its their visitation time? 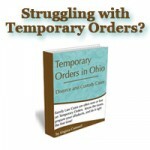 There are points in the Standard Order of Visitation for Ohio that seem “muddy”. For instance, (G) “Non-residential parent shall have visitation for Spring Break from school, not to exceed one (1) week in alternate years, commencing in the calendar year after the decree or order is filed.” Does this mean if the divorce decree was filed in 2004 that the next year, 2005, would be the nonresidential parents Spring Break? or is it go by the year the divorce was final? or each time the visitation is changed? This wording has caused a lot of problems in our visitation schedule because our visitation has been modified from the Standard Order! Please clarify if you can. Thank you. I was married and had a kid from a other man because i wasn’t living with my hubsand at the the time . 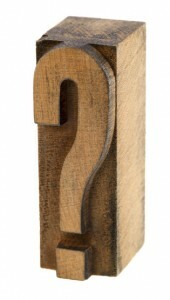 My divorce wasn’t finally till after my son was born, so who’s last name should he have?